s even better is you can make a bunch of them in a short amount of time. Tie one on a package,hang on a bottle of wine and you have a really unique way to add that extra special touch to your gifts! There are a few left and they ship at the end of this month so grab yours now! In this updated tips and tricks video, Kira explains the most popular glues and methods for attaching polymer clay permanently to smooth non-porous surfaces such as glass and tile. These techniques also work for metal tins and objects. 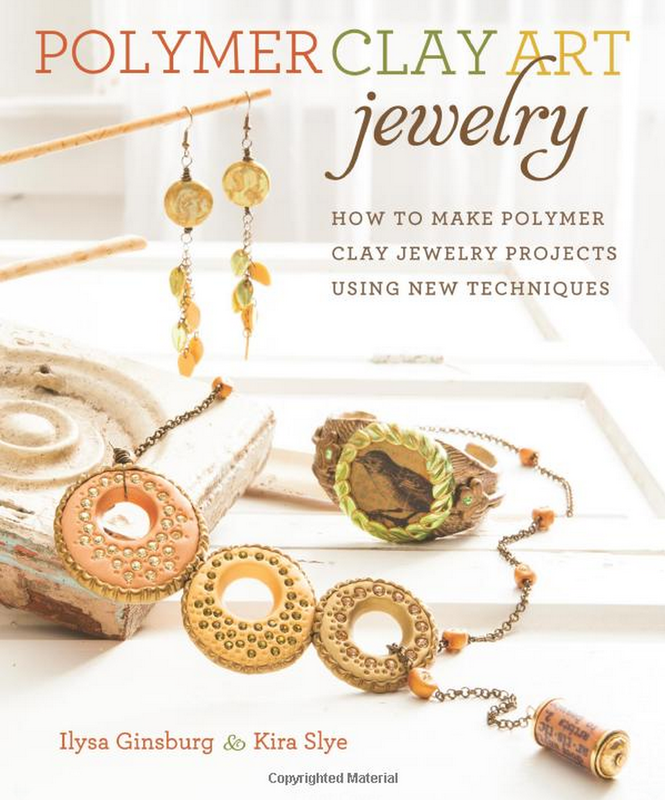 This is really important stuff if you are giving a polymer clay gift or selling your work- you don't want the clay to fall off. You also don't want to use a non-compatible glue that might break down the clay over time. 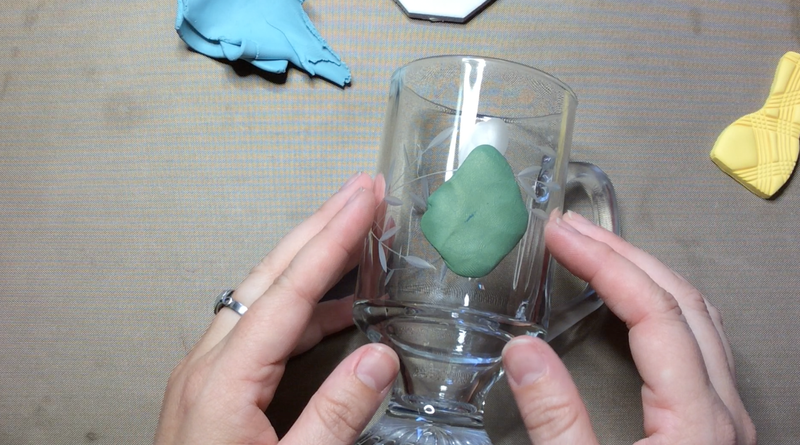 The silicone tools, cutter shapes and other fun stuff you see in the video can be found in our CreateAlong shop. NEWS! Sculpey has an online shop, and we have INCHIES! Yippie! Now you can shop for your favorite Sculpey supplies straight from their website. 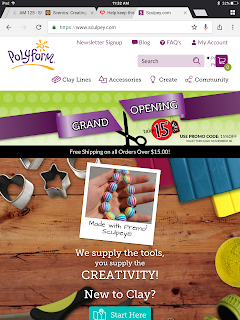 Polyform Products is excited to announce the grand opening of their new online store! 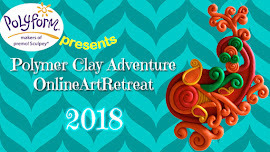 They have been operating www.sculpey.com for over 10 years as an educational website showing people how to create with clay! 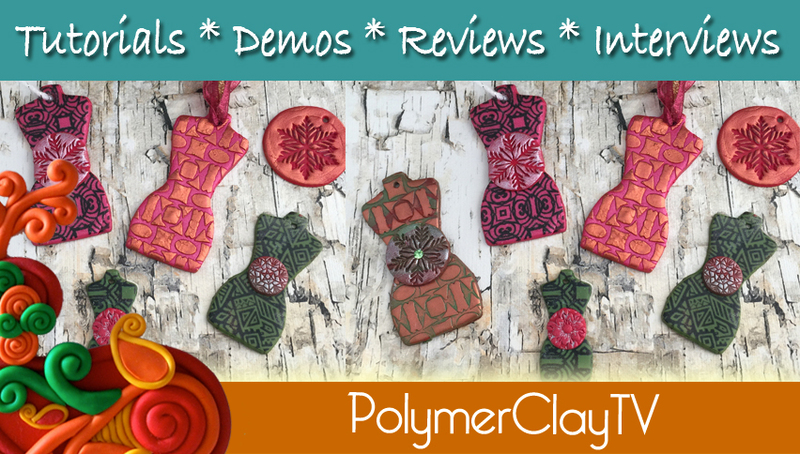 They will continue the tutorials, videos and information for creating with clay and now you can purchase the awesome products you love with the click of your mouse! They are offering FREE shipping on all orders over $15.00. 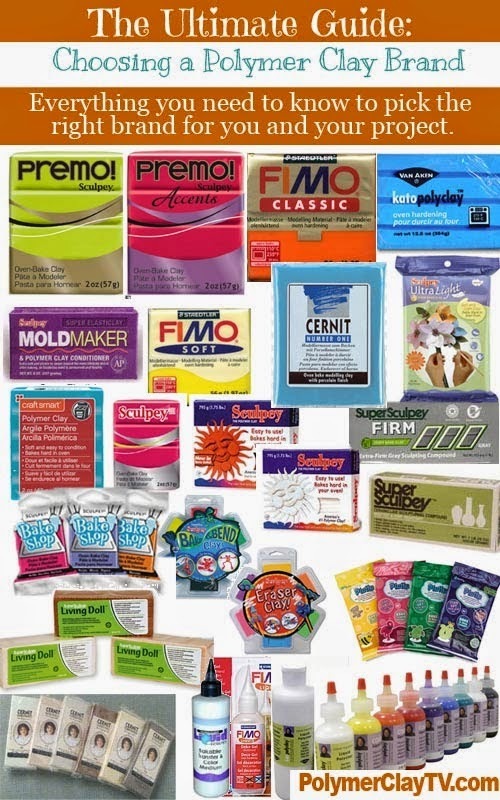 The online store features the full line of products that Polyform Products offers: Clay, Tools, Findings, Molds and more! Each month there will be a special promotion featured for the site so check back often for savings! 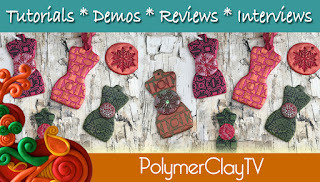 Get in the know with the Sculpey® Scoop newsletter so you don’t miss out on sales, new product launches or fun projects! 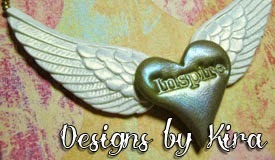 www.sculpey.com. For the grand opening month for my readers they are offering a 20% discount on all orders using the promo code PCA20%. And- CreateAlong hears you - we have had lots of requests for Inchie cutters. Inchies are often used in swaps- a small, inch square tile that can be used as a pendant, magnet, or small art object is really easy to create and send in the mail, that's why we do inchie swaps. Here's a set of 5 cutters to create a perfect square, circle, heart, oval, and triangle that will all fit inside that 1 inch square. We are so excited to release the brand new Secret Garden collection with Tejae Floyde. 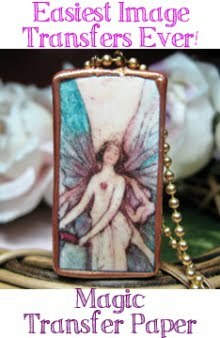 You are going to love the butterflies and dragonflies and vines and flowers. It is such a pretty collection! 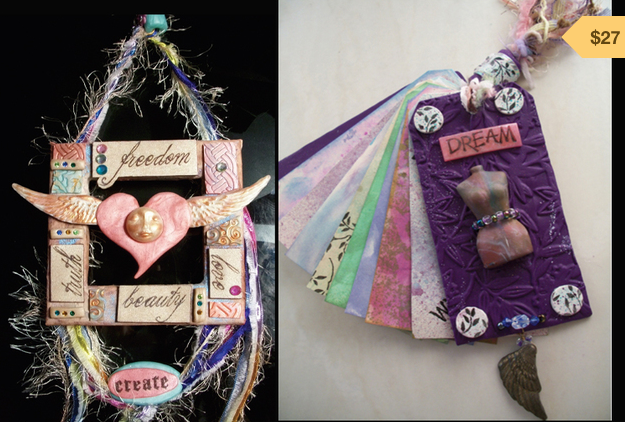 Today Tejae is sharing a little insight into her collection and some ideas that we never even thought of to use them. 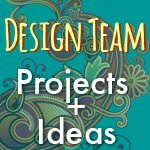 There are more demos and ideas coming to so check back.